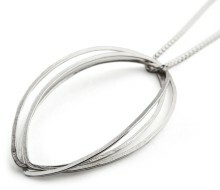 This Chain and Pendant Necklace is made of five hand-made links in silver, formed in the signature Fig shape to make the fabulous Fig Multi Pendant, and connected so that they hang together for maximum impact, moving and changing with the wearer. 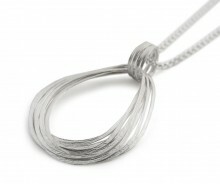 Its soft textures are the result of the hammered technique that create its unique form, and the soft curves are gathered around a delicate snake chain. It is made from British hall-marked silver, and its simple elegance makes it perfect for everyday or for that special occasion. 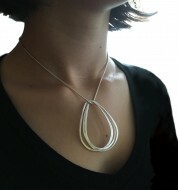 L&N's design philosophy is Modernist but wearable, cool but comfortable; the finish is exact and every piece is made to be easy to put on and to remove, to avoid snags and catching, and to look fabulous. 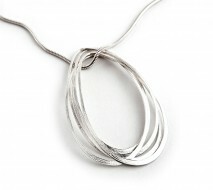 The Fig Multi Pendant is hand crafted in our workshops in the Garden of England. 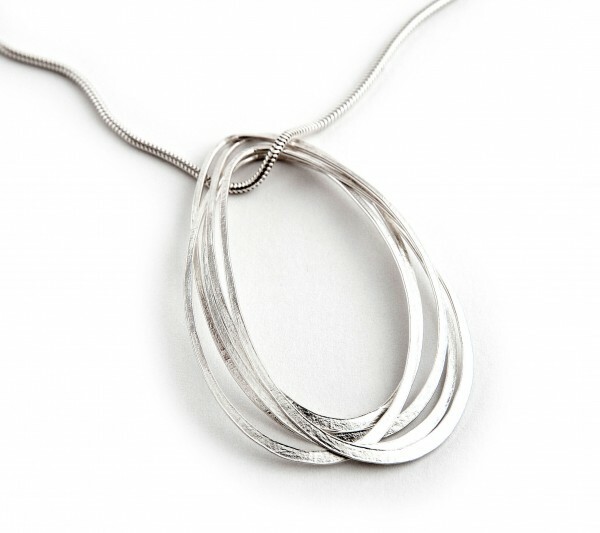 L&N makes everything in the UK, and in the workshop; we use only British Hall-marked silver and gold, and every item is either hand made or finished by our makers. 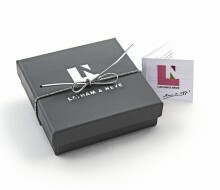 It comes in a gift-box, ready to go, so treat someone special with this beautiful piece. Or just buy one for yourself. Why not?